North Korean leader Kim Jong-il is said to have fallen ill.
Lee Byong-chul is a citizen journalist for OhMyNews, based in Seoul. 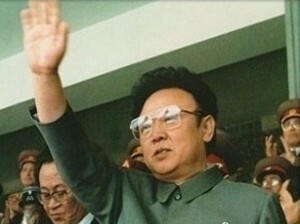 Kim Jong-il, the North Korean leader, caught the greatest attention outside North Korea as he fell ill. He is apparently about to disappear but his country now appears to be immune to facts that the absence of his ‘absolute power’ can bring about a crisis from the very highest levels of the Kim regime. Apparently, the durability of the regime has been proved as strong as the grim-faced stepping goose soldiers on parade. The probability looks very low that North Korea, which is revving up the military first politics with much fanfare, will be unable to handle the shock of a leadership crisis. Improbable as it might seem, perhaps the most important thing for non-North Koreans to remember is: the regime can survive longer than they expect. Designated as successor of the late Kim Il-sung in 1974, Kim Jong-il is likely to orchestrate the communist regime by seizing control of the military that shows endless loyalty toward himself, unless another grave stroke decisively weakens his leadership. Just as the crisis of North Korea can be developed into the tragedy in the region of Northeast Asia, so no countries surrounding the Korean peninsula — South Korea, the US, China, Japan and Russia — want to see North Korea collapsing suddenly, though some of them may hope to let it fail more slowly. Photo courtesy of the Democratic People’s Republic of Korea.